Many employees think that the role of a private investigator (PI) in business is to catch customers taking goods from a shop. Employers use PIs for more than this, however. 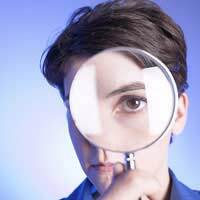 Employers may in fact use PIs to check concerns they have about staff. PIs spend a lot of time on computers. They retrieve deleted emails and review Internet searches. The PIs’ aim is to ensure employees are not wasting time with private emails and web surfing. They’re also looking for evidence that staff are not running their own businesses in company time. Employees have questioned the legality of evidence PIs have found in this way. Nonetheless, some employers regularly call in PI firms to run computer checks. An employer may use a PI, rather than the police, to look into employee theft. The benefits of not using the police are privacy, and control over the outcome. During an investigation, a PI may make their presence known to staff. On other occasions, a PI takes a subtler approach and remains in the background. Either way, the law accepts that employers have a right to use such methods to protect their goods. Drug misuse in the workplace can be dangerous. An employer may struggle to find enough evidence to deal with the matter, however, without a PI’s help. A PI acting as a new or agency member of staff may be able to find not just who is taking drugs, but who is supplying them. The employer can then pass the details to the police, and take any disciplinary action. Some workplace accidents are serious enough to warrant an outside investigation. An insurance company may demand this, or an employer may want to examine health and safety standards. The PIs involved are specialists familiar with this type of work and the legislation. They investigate by asking staff questions and studying work practices. When they’ve finished, they submit a report to the employer. Employers can legally ask PIs to conduct surveillance on staff outside the workplace. The PIs may use simple methods such as following an employee, or they may mount more high tech operations. This sounds implausible but it does occur. Surveillance such as recording staff on video cameras outside work is an accepted practice in some situations. There’s one common example. An employer may hire a PI because of allegations that a member of staff who claims to be sick is lying. The PI follows the staff member and records on camera anything that suggests fitness rather than poor health. Employment tribunals tend to accept such evidence without objection. As stated above, an employer does have a right to protect a business. This is usually the reason given for recruiting a PI. Employees, of course, have a right to privacy under the Data Protection Act. They can also challenge the methods and findings of a private investigator if these fail to follow legal criteria. A PI cannot, for example, bully a staff member into admitting wrongdoing. Nonetheless, PI services in business can save money, and are here to stay. A fellow employee made a Freedom of Information request to our employer. Since receiving the information, I have been getting calls from this employee re emails I had sent when I was the manager. I have had about 50 calls from this person. He is not happy about some of the email content. I was not informed by my employer, that this information request had been made and that I was named. What action can I take to stop this fellow worker from constantly calling me. Should my employer have informed me re the Information request.